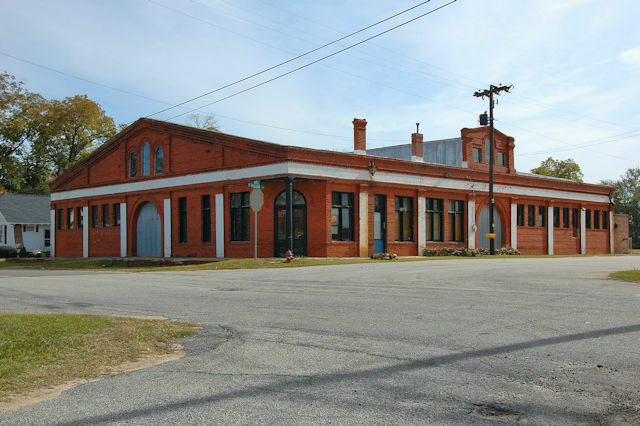 One of Georgia’s most attractive cotton warehouses, Unadilla’s Planter’s Warehouse was earlier owned and operated by W. B. Hodges and Frank Giles as Giles and Hodge Farm Center. It, along with all of Unadilla’s historic commercial district, should be placed on the National Register of Historic Places. I hope such an effort is underway. My name is Henry Giles. This warehouse was our family business for 40 years as Giles & Hodge Farm Center. Thanks Henry, are you related to Mr. Frank? Could this warehouse also have been known at one time as / Planters Warehouse/ Lockerman . Fokes? I have a photo which may or may not be this same place. Please advise if you know as my gg grandfather is in my pic. It is possible, as many of these businesses had multiple owners over time. They were usually quite profitable. Not sure what it may have been called prior to the late 40’s but I have a picture from early 50’s when it was WB Hodge cotton warehouse. Prior to that I believe it was Buff and Hodge then in the 60’s it was Giles and Hodge until Mr. Frank Giles bought it in the 70’s and ran it until he retired. This looks very much like the old tobacco market/warehouse in Sylvester. This is a great building! And to think, just a couple of mile away, people are whizzin’ by at 80 mph reading billboards and searching for the next fast food fix off- ramp. Gotta’ stop and smell the roses.